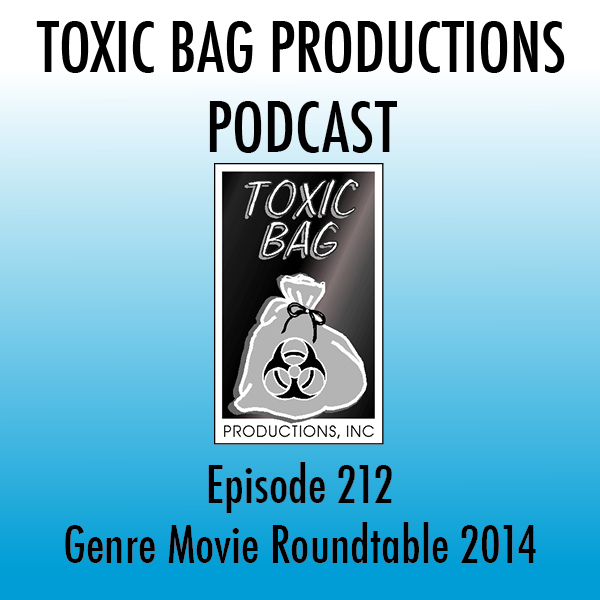 Toxic Bag Productions is the original provider of sound effects for Role-playing Games. We oughta know; we were there when it happened! SOME TIME IN THE MID-90s. We were playing our RPG games. We had the visual aids – the maps, the props. We had the soundtrack to the GM’s favorite horror movie playing in the background, when it suddenly hit us: hey, we’re sound designers, we oughta be able to make this game more cinematic with some sound effects. So, after all the characters were dead or insane, we headed down to the studio to see what we could come up with. In 1996 our groundbreaking line of sound effects CDs introduced RPG game masters across all role-playing genres to the possibilities of adding ambience to their games with sound and music. Today those high-quality sound effects are still available on compact disc, but technology has advanced and so have we. Now the sounds in the Game Masters Collection – and many more effects we’ve produced since– are available as downloadable mp3 files. In November we interviewed Lys Galati of Sphinx Group for our podcast. She had some great information and insights about the gaming industry, the present and future of RPGs, the current state of crowdfunding and lots more. To keep the podcast’s runtime reasonable, we edited the conversation way down. Lots of folks wanted to hear the full interview, so we’ve posted it to the site. Click here to listen to the full interview! Our new sound for January is a very specific sound for a very specific application – it’s the interior of a bees’ hive. We don’t know if your players are trapped inside a giant have surrounded by giant bees, or if they’ve been shrunk down and are wee enough to become trapped inside a regular bees’ hive, but the result is the same, isn’t it? Don’t get stung! The giant insects hovered over me, staring right through me with their multi-faceted eyes, their wings a blur as they floated on the air. As they darted back and forth, the deadly points of their stingers glinted in the light of my torch. As I cautiously began to ease my way out of the hive, they gathered to attack! Beehive Interior is a background sound of the inside of a massive beehive, with worker bees buzzing and crawling around. The effect is ten minutes long and loops seamlessly. It’s available from us for $1.25 and from DrivethruRPG for $1.50. End of the year lists! As 2014 draws to a close, you’re no doubt inundated with “Best of” and “Worst of” lists all over the place. Try as we might, we couldn’t resist the urge to try a couple of those ourselves to see what the fuss is about. So, we sat down with our good friends Eric Van Tassell and Ele Matelan (both of Specimen fame, among other things) to list our top genre movies and television shows of the year. We had a couple of great in-depth chats and the results are here in our two bonus year-end podcasts! And of course, everyone’s got an opinion, so let us know yours! Send us a note at podcast@toxicbag.com or drop a note on our Facebook page! Our new sounds for this month are tied in with a common horror trope: trapping the demon in a circle of enchanted flame. The binding ceremony usually involves drawing symbols on the floor in blood or salt, and setting the circle on fire once the demon steps inside. So, we’ve given you a torch, a match, and a lighter. Each ignition sound is followed by ten minutes of enchanted flame. And in addition, each download comes with a ten-minute loop of magic flame with no ignition sound, so if you just want continuous fire, you can do that too at no extra charge! Of course, these fire sounds don’t have to be used exclusively to depict demon traps. Really, you could use them for just about anything your players feel like setting on fire. And if your players are like ours, that’s a lot of things! The daemon has walked right into your carefully-laid trap; directly into the center of the circle of blood sigils on the stone floor. In the dim light of this dank dungeon, it was easy to conceal it with some hastily-arranged dirt and pieces of rat dung. You touch your torch to the edge of the circle, and the floor erupts in a magical flame. Now, daemon, we will talk. This effect is the sound of a torch igniting a magic flame that burns for ten minutes. You have the demon right where you want it. It’s just walked right into the center of the circle of blood sigils you painted on the floor. Before it knows what’s happening, you light a stick match and touch it to the blood. The circle erupts in a magical flame that spreads out to both sides and surrounds the demon in a second. Shall we begin our conversation, hellspawn? This effect is the sound of a wooden stick match igniting a magic flame that burns for ten minutes. You’ve got the demon right where you want him. The smug sonofabitch just walked right into the center of the circle of blood sigils you hid under the throw rug. You smile, just a little, and spark up the chrome lighter in your hand. You throw it to the floor, and the circle erupts in a magical flame. Now old blackeyes there is trapped until you say so. Before I gank you, you’re gonna spill, buttwipe. This effect is the sound of a modern lighter igniting a magic flame that burns for ten minutes. Now that the demon is trapped within the blood circle, the flame will continue to burn and he won’t be able to leave. This ten-minute loop of magic demon fire will allow you to question him all you like. Each of the Demon Flame soundpacks are available for $1.25 from toxicbag.com and $1.50 from DrivethruRPG.com. The Science Fiction Toolkit is available from toxicbag.com and DrivethruRPG.com. We’re pleased to announce that version 2.3 of our Game Masters Collection app for iOS is now available on iTunes. The app allows quick, convenient playback of Toxic Bag sound effects from your iPhone or iPad. The free app download provides sample tracks from each of the four Toxic Bag collections to experience, as well as additional sounds for free that do not appear on the original CDs. The lists can be rearranged, and tracks from the different collections gathered together into a Favorites list, perfect for a gaming session or party. The free download provides over thirty sample sound effects, including a half-dozen each from the four collections. In App Purchase can then be used to activate the full list of sounds for an individual collection. Buy just the collections you want, and have them all available in a single app for playback. You now have access to five more of our critically-acclaimed sound packs! Eldritch Horror: Cult Ceremonies is a collection of 9 different mystical cult ceremonies. Now you can let your players hear that pesky cult eagerly summoning their icky dark lord to wreak havoc on an unsuspecting world. Fantasy: Dragons is a collection of 20 growls, hisses, roars and breath attacks. Now you can let your players hear one of the most iconic creatures of the fantasy genre! Fantasy: Traps is a collection of eleven sinister traps for you to install into your perilous fantasy campaigns. Horror #2 – EVP Electronic Voice Phenomena are mysterious recordings which are believed by some to represent the voices of the dead. Now Toxic Bag introduces a collection of creepy EVP phrases for you to use in your modern horror game. Sci-Fi: Blasters & Deflector Shields is a collection of 16 energy weapons and shields for you to equip your party as they enter your Galactic Sci-Fi Operas. Changed the iPhone main view to a tableview menu. Fixed scrubber to resize properly after rotating. Resized main tableview icons to line up the text. Cleaned up the startup screens. Cleaned up actions when app goes into background. Added a microphone access request for iOS 7 devices. We’ve created a site specifically for our new board game, Specimen. There you’ll find articles about how to play the game; good strategies for playing the crew or the monster; videos about different strategy cards and the development of the game; and selected game images. There are also some downloads of living rules and (soon) other goodies, as well as an exploration of the world in which Specimen takes place.